I always seem to have caffeine in one hand and water in the other. No matter if I'm traveling, working, working out or hanging at home, it just seems to be how I roll! 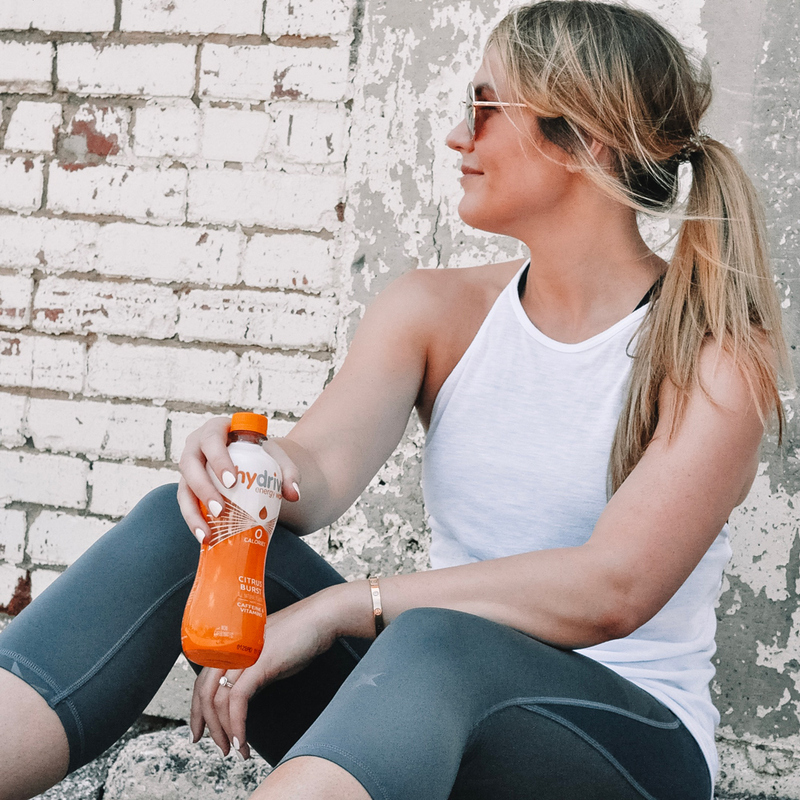 Hydration is very important to me and my active lifestyle (I aim to drink a gallon of water every day) BUT, being so active means I get worn out! I've become more or less addicted to afternoon pick me ups, whether that be coffee, soda or an energy drink. know I shouldn't drink them, but I do.....they are my guilty pleasure! 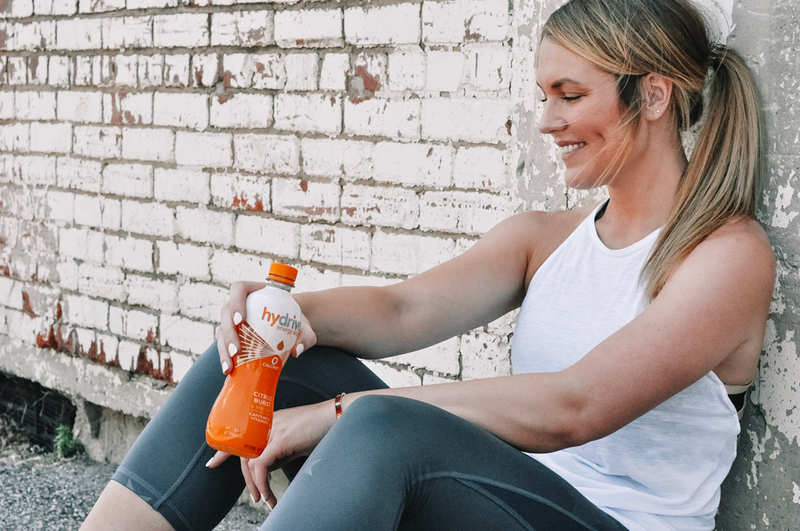 I don't like feeling guilty about what I put in my body, though, so I was super excited to discover Hydrive Energy Water! 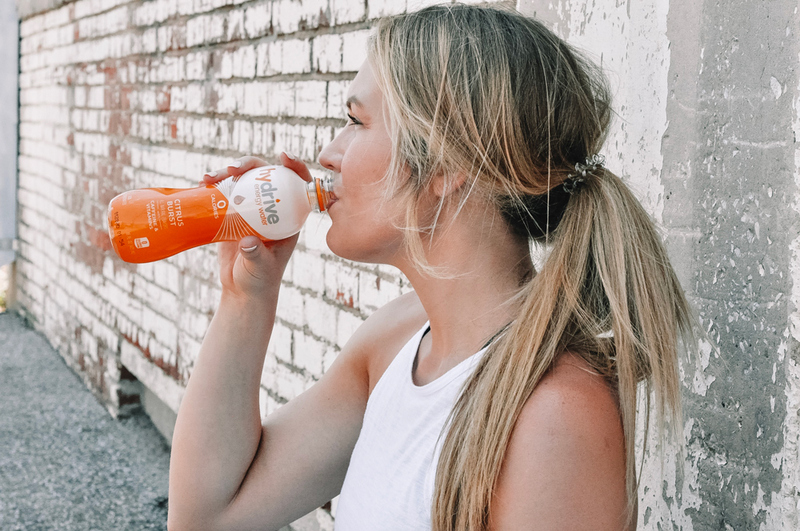 It is basically the best of both worlds: hydration and caffeination, all with zero calories, zero sugar and made with all natural flavors. Yes, yes and yes! My afternoon pick me up no longer sets me back on my water intake and I feel good about drinking it. Most other caffeinated beverages come filled with sugar and calories so I'm very pleased to find something energizing and flavorful that fits within my target caloric/macro intake. 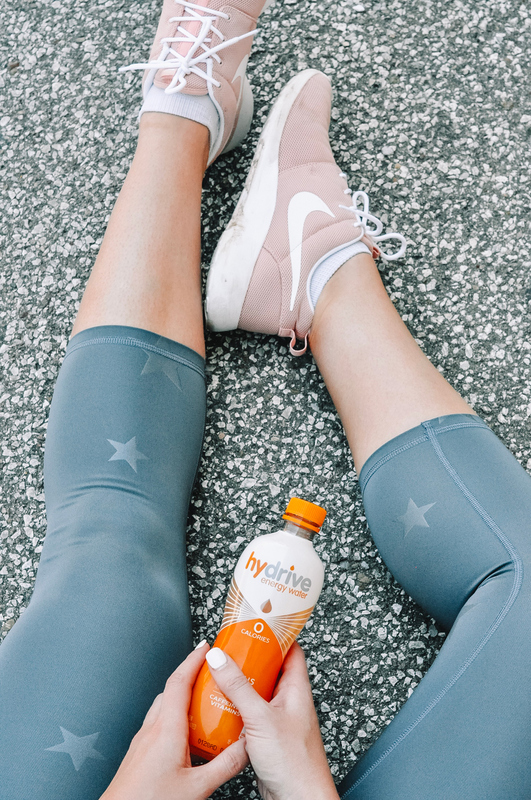 Hydrive Energy Water is light and refreshing, it is packed with flavor, and it is specifically formulated so you get the hydration benefits of water with the added perk of energy from B Vitamins and caffeine. According to their label, it has the same amount of caffeine as most energy drinks! 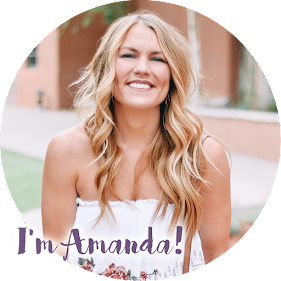 I was skeptical at first, but it really does perk me up almost immediately and recharges my system to help me get through the longest of days....like every Wednesday when I teach a 5:30 a.m. workout class, go to work all day, teach a 5:30 p.m. workout class, work out myself and then do blog work or house work once I get home....insert sleepy emoji. Hydrive saves the day! 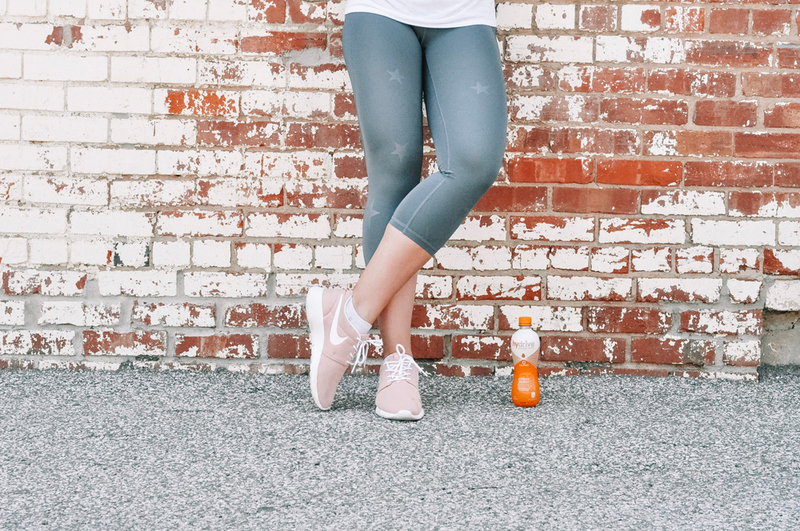 It is great to drink during workouts, too, to help you stay pumped up. I got to sample all of the Hydrive Energy Water flavors; they were all tasty but in my personal opinion, Blue Raspberry was the best! That's not saying much, though, because I always choose blue no matter what I'm eating/drinking. I know what I like! You can find Hydrive at these retailers. You can also order online and use code HYDRIVE15 for 15% off your first case of Hydrive Energy Water from www.hydriveenergy.com! Their tagline says it pretty well: Rehydrate. Recharge. Have you heard of or tried Hydrive? 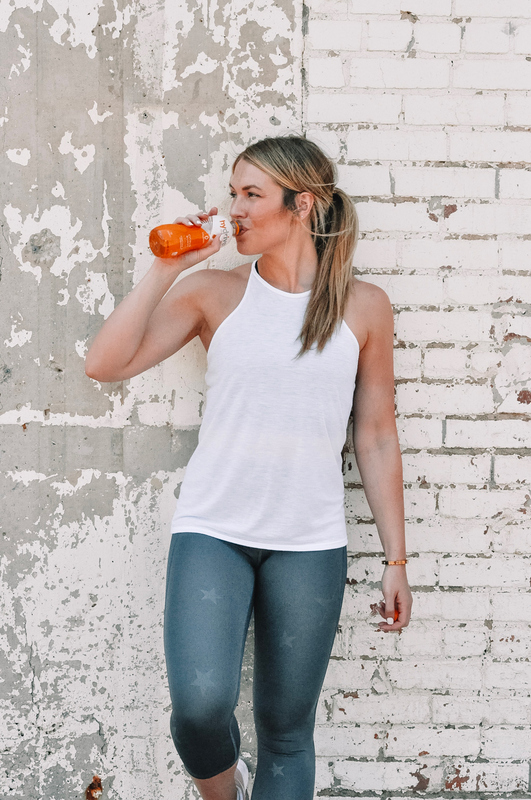 Tell me in the comments what your favorite way to hydrate and caffeinate is! This post is sponsored by Hydrive Energy Water. As always, all thoughts and opinions are my own.